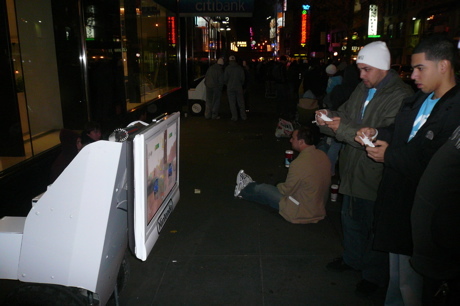 We were joined by our friends at Engadget and Nintendo Wii Fanboy at the Times Square Toys "R" Us last night to partake in the midnight launch of Nintendo's little, white console. 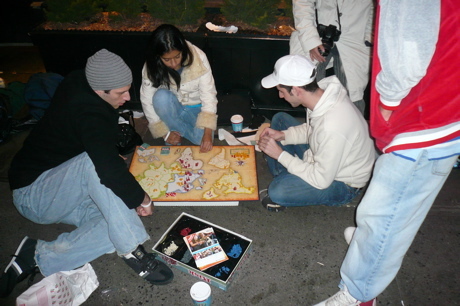 Eager fanboys and girls were wrapped around the entire block, from 45th St. down 8th Ave, to 44th St. and back up 7th Ave (peep Engadget's fancy map). 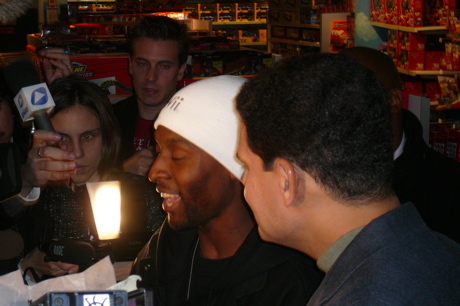 When Reggie took the stage at 11:40 to preach to the choir, he said over 3000 people were lined up, but they were prepared with over 4000 consoles (we'd heard over 5000 and even over 8000 from various insiders). 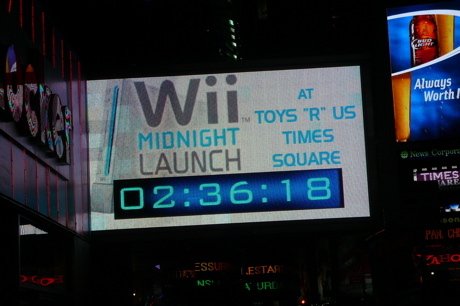 Everyone in line got a white wrist band guaranteeing them a Wii; however, not everyone got the baby blue Wii shirt and white knit-cap (things apparently got a little out of hand, so they stopped handing 'em out). 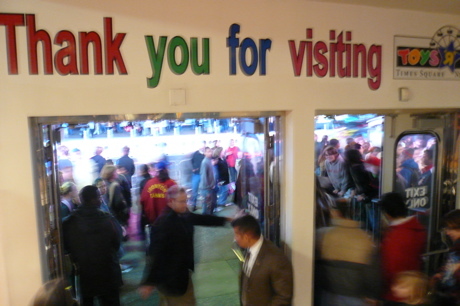 We gathered a ton of pictures and video (coming soon) of the event, which you can hit up after the break. Any 'stiqers in attendance? 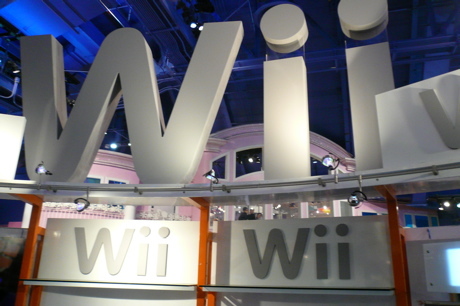 The Wii branding was omnipresent! Like OMG! The Wiiiiiiiiii! 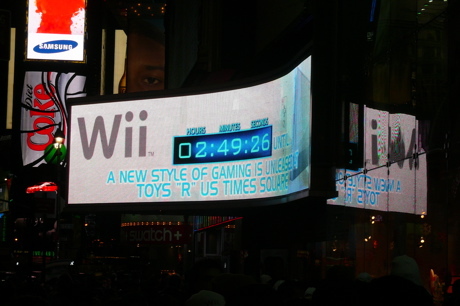 People were actually counting down, following a long standing Times Square tradition of counting while looking at bright, blinky things. We'll take the bait. Show us your glove love! Where's your DS Lites? 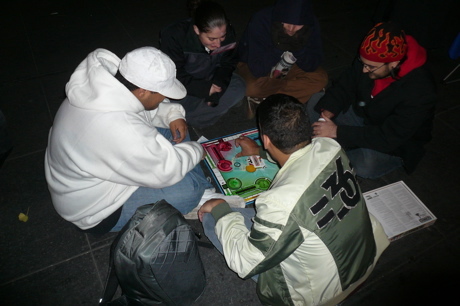 Somebody call security, these aren't gamers! (We keed, we keed). G4 took the bait too ... now we feel predictable. 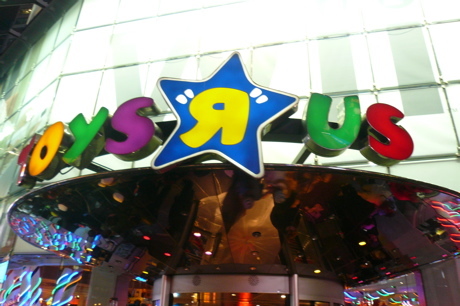 The 2nd floor Wii department in Toys "R" Us, located conveniently next to the Barbie display (insert "OMG Wii is fr liddle grls ROFL" joke here). 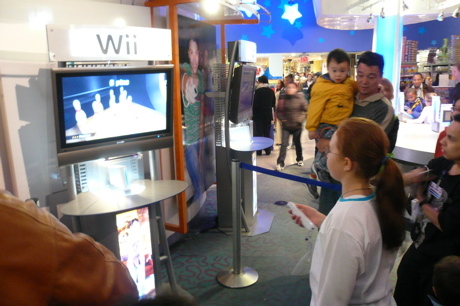 Alright, we're not helping things with our image selection but she was playing the Wii at the time. Don't shoot the messenger. 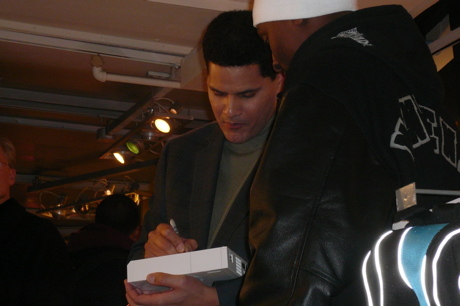 Reggie's here to show folks that not only is Wii for little girls, but grown men also. 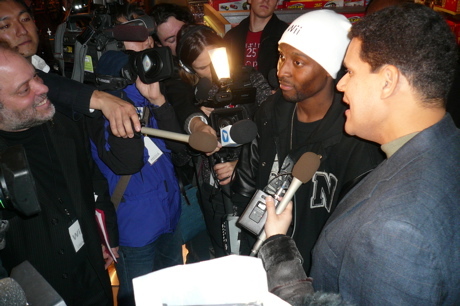 Nice form Reggie! 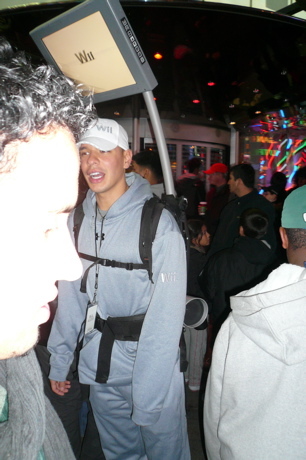 He just threw a ninja star at a Sony fanboy. 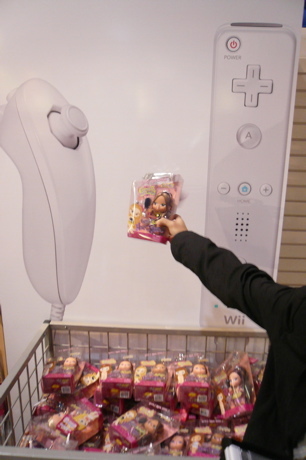 Okay, we know it seems like we're looking out for this stuff, but someone at Toys "R" Us is making a very concerted effort to pair Wii promotional materials with doll products. 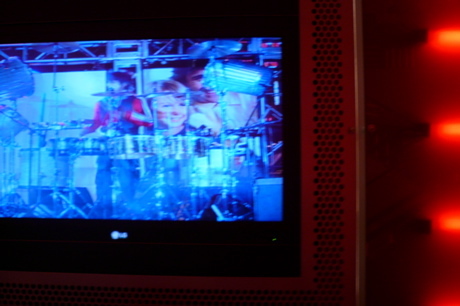 Video displays inside the store show off the on-stage festivities happening outside. We actually taught this guy how to throw up the Wii sign. Let's give 'em a hand! We think those are car batteries powering this whole rig. 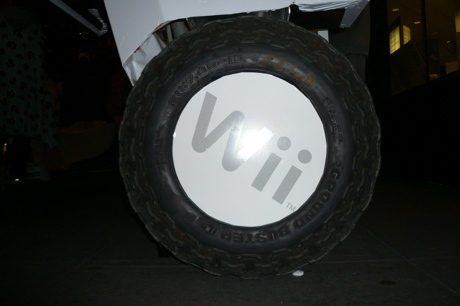 Reggie's final Wii secret: every Wii comes with it's own Segway. 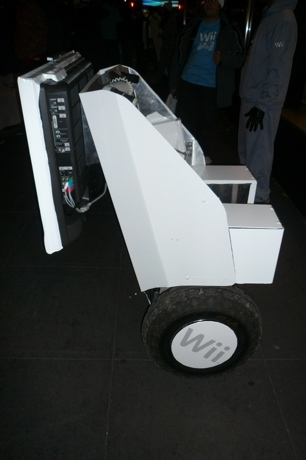 Segway + Wii = nerdiest mode of transport ever devised. 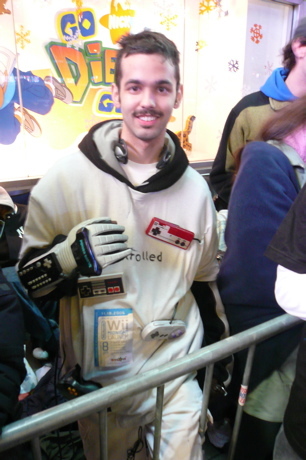 Folks loved this Super Mario Brotha. 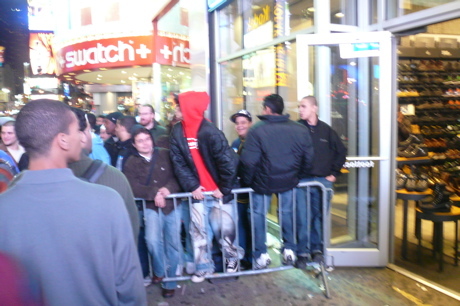 The last guy in line. How long have you been waiting? "2 seconds." Nice. Scantily clad women with hoola hoops. We don't get it either. This guy's back has got to be sore this morning. 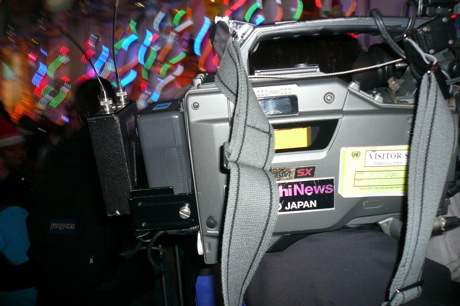 A Japanese news crew surveying the scene. 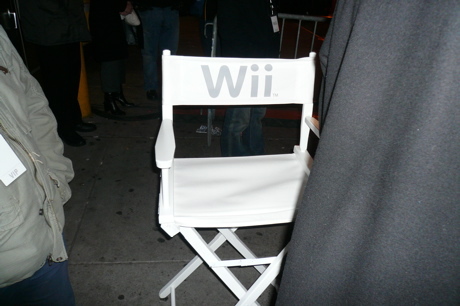 That's Reggie's chair. 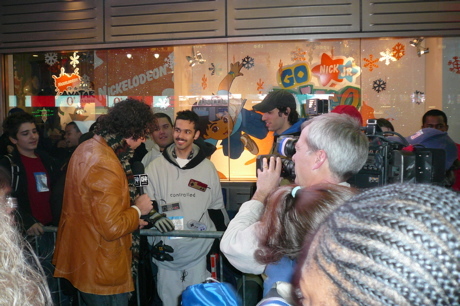 We tried to touch it and they sawed our hand off. 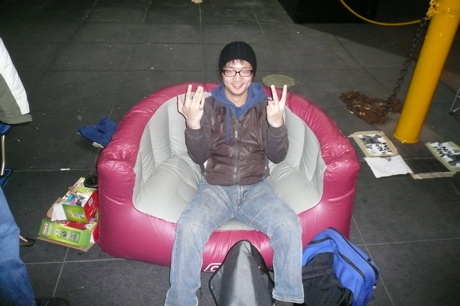 Actually, we're not sure who's chair it is, which makes the whole hand sawing thing even more upsetting. Gamespot asks the tough questions. 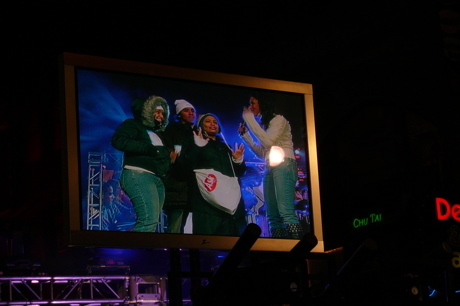 They brought this family of three who'd been camping out up on stage so they could run down a list of canned responses about how great Wii is for people of all ages. The only way we knew they weren't plants is because their responses when asked what games they were most looking forward to. Mother: Zelda (okay, she's fine). Daughter: NBA Live 07 (wha?). Son: Metroid (you may be waiting awhile then, friend). 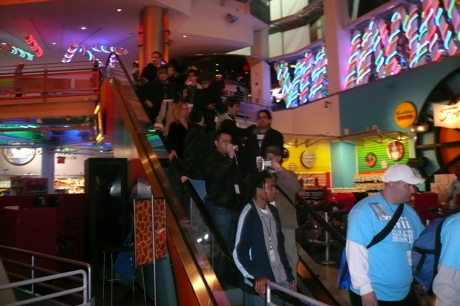 The crowd files in to claim their Wiis! 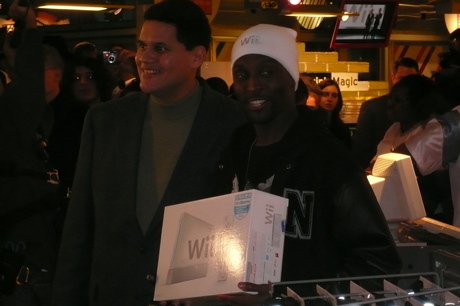 Reggie bags up the very first Wii purchase. 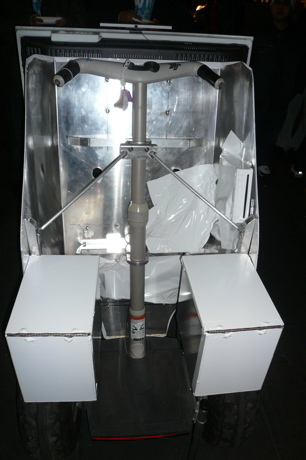 Paper or plastic? 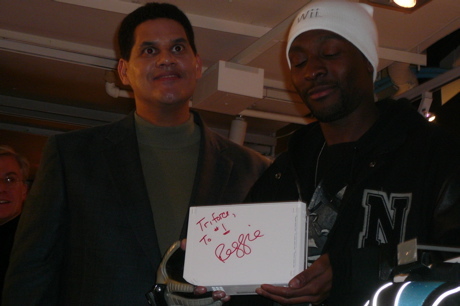 ... and there, the guy's name is actually Triforce. Seriously, he changed it. 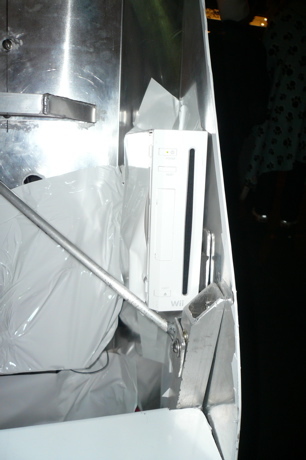 Notice the mutagenic Xbox green leaking out from behind this Wii kiosk. 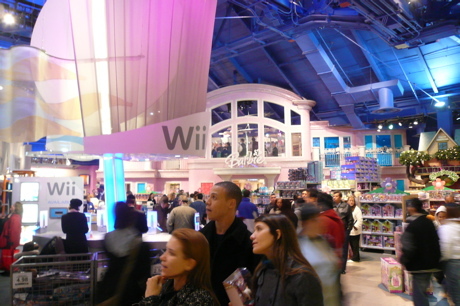 They'd partitioned the entire Xbox section off behind curtains and kiosks.